Valle Nevado (loosely translates to “snowy valley”) is a sky center situated in the middle of the Andes Mountains, 67 kms from downtown Santiago, Chile, it has an altitude of 3,000 masl and it is one of the epic climbs to do when the winter in the south hemisphere is over, mainly between the months of October and April. The route has total 45 kms length and it is not easy, in cycling terms it would be a Hors catégorie (beyond categorization) with gradients up to 17.5%. * Start point in Mall Sport (recommendable if you haven’t done it before). You access here by Avenida las Condes street. You can park your car inside the shopping mall paying a fee. * From the intersection on it is only one road with two intersections in the KM 16 (Disputada-Farellones) and KM 32 (Farellones-Valle Nevado). Tip: Always keep your right. * It is a mountain road, with high difficulty due to the altitude and the distance. * Hydration: You can refill your bottles in Lo Ermita (Km 11), Yerba Loca National Park (Km 23), Coca Cola Kiosk (Km 27), Farellones (Km 33) and Valle Nevado (Km 45) but if your goal is Valle Nevado and you need water then you will have to enter first in Farellones and then continue to your final destination. * Food: You have to consider a time of 3 to 5 hours only to go. So don’t forget to carry on enough food. * Wind stopper: For the way down. Don’t forget we will be in the Andes Mountains, and the weather is different over there. * Cash: The key points where we can get some refill, they only accept cash with the exception of Valle Nevado, where there is a store. * The road is not exclusive for cyclist, so you should be really careful with the cars on the road, especially when you are going down. * Cross wind that in some parts can push you from the sides. * Be careful with the pavement especially when you are going down and at the moment of taking the curves. 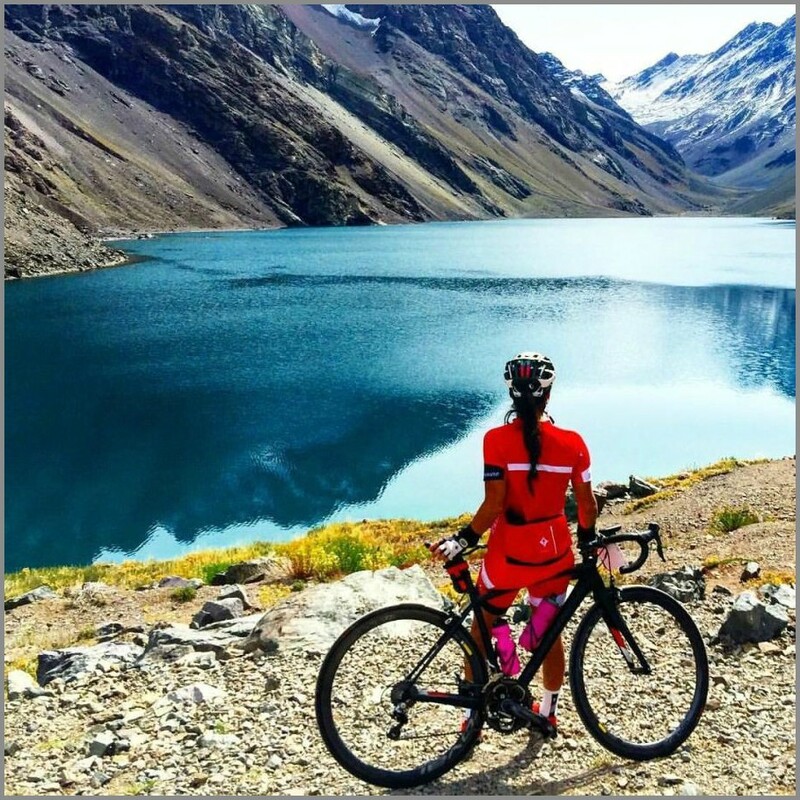 Valle Nevado will always be a challenge and a classic among the cycling routes in Santiago and Chile. You can make it with any kind of bike (no engine is allowed xD) and you can choose the distance more suitable for you and your training conditions. The view in the Andes Mountains is amazing and you will never be disappointed after climbing that much. See you in the road. Portillo is one of the main ski centers of Chile and it is located in the middle of Andes Mountains at 2.680 masl, 147 kms from Santiago, capital of Chile. 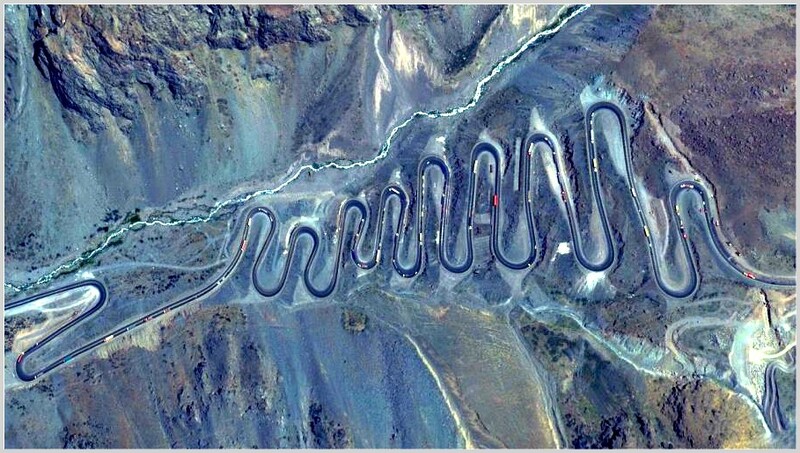 The road to Portillo, (which is also the International Highway between Santiago and Mendoza, Argentina) is worldwide known because of a short section called “Los Caracoles” (the snails). Los Caracoles is a series of hard switchbacks on an extremely steep incline which includes 29 hairpin turns and it is considered, according to a Red bull article, one of the world’s hardest cycling climbs with gradients up to 14%. Start point in Enjoy Santiago, casino and hotel located in Rinconada de los Andes, Valparaiso Region, Chile. 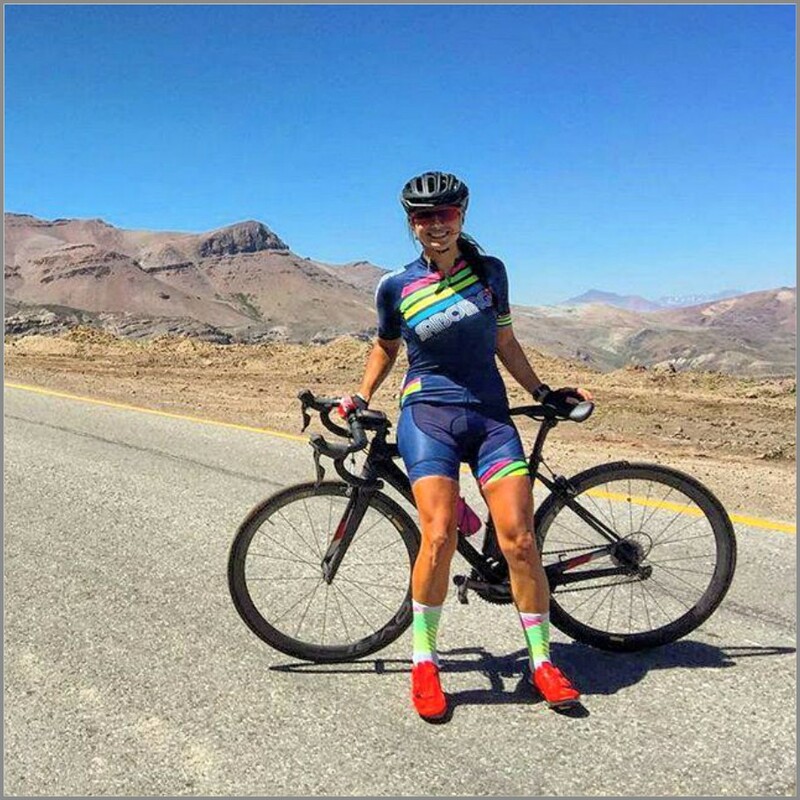 Finish point in Portillo Hotel, you can ride also 5km more to a Chilean immigration point and then another 2km to the start of an old road which leads to the statue of Christ the Redeemer up to 3.800 masl. When I started to ride, it would have been impossible to imagine myself climbing these road, however after I did it I only want to come back. 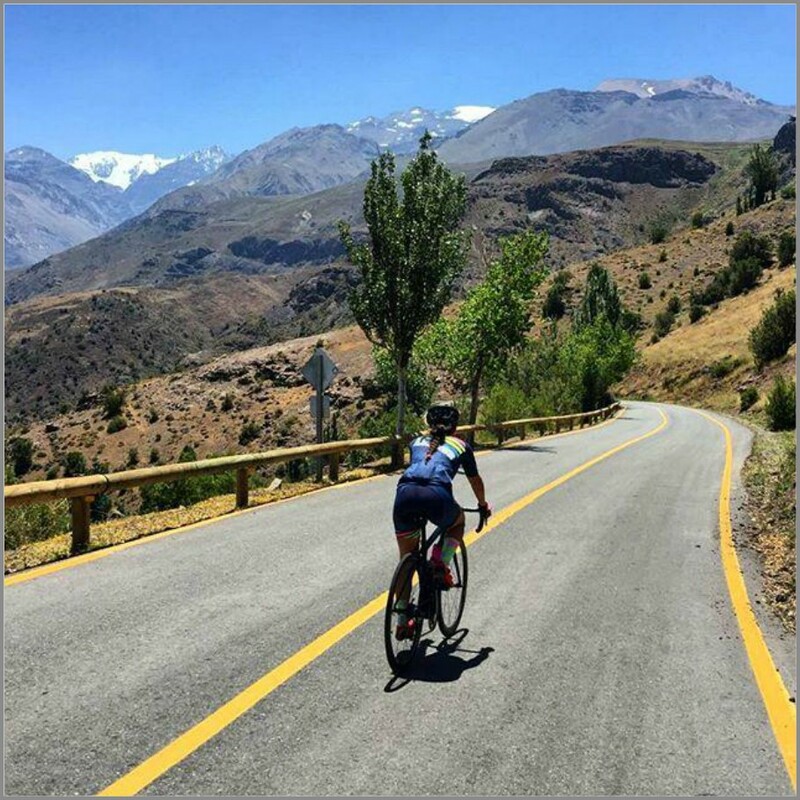 This climb is one of the historic cycling routes in Chile and when the stage road race called “Vuelta Chile” used to be made “Los Caracoles” was considered as the Queen Stage because of its high exigency. As this is an international road, for cyclists its main hazards are the cargo trucks, cars and tourist buses that travel through the road on a daily basis. For safety reasons as the road was closed, first time I did the climb was as part of race called “Gran Fondo Portillo” which I will repeat on April this year. 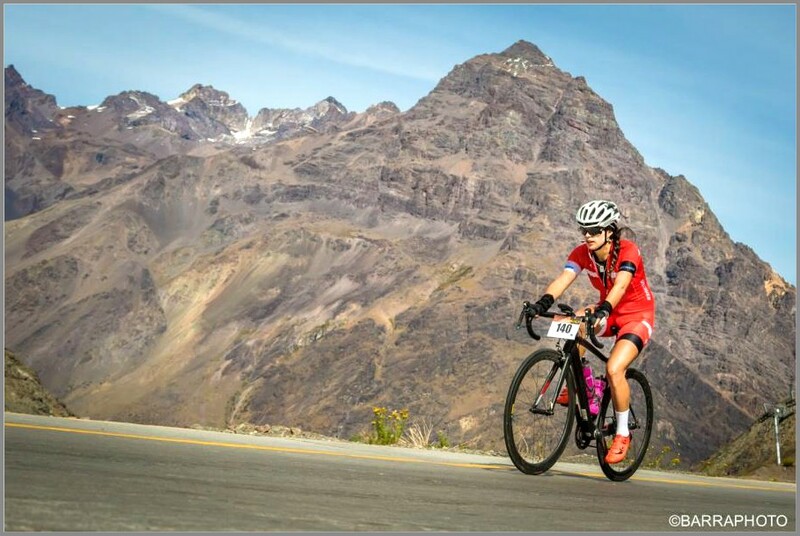 85kms total starting from “Enjoy Santiago”, a casino outside the Capital up to the Portillo Hotel with a total elevation gain of 2.400 mts, fun and tough just as I like. The view in the summit is amazing, a calm scenery surrounded by mountains. The view I love the most is the Inca Lagoon just behind the Portillo Hotel. * Hydration: There is no place to refill your bottle so it is ideal you go with a group and support vehicle. * Food: You have to consider a time of 4 to 6 hours only to go. So don’t forget to carry on enough food. * Wind stopper: I don’t recommend to go down this road because of the traffic but don’t forget we will be in the Andes Mountains, and the weather is different over there. * Cash: Just in case of some emergency or some stop in the Andes city. It is crazy to suffer as hell and want to come back to the same place, but I think that is part of every cyclist in the world. I loved the journey up to the top of Portillo, and no doubt I will do it once and again and every year if possible. There is a lot of mountains still missing to climb, but I can say I already survived one of the world’s toughest climb.